Greater Sacramento Area Homeowners: It’s Time for Peace of Mind. 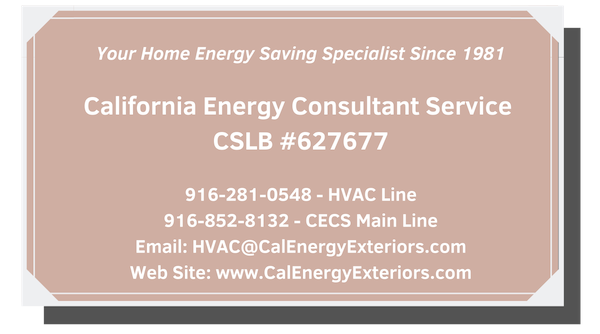 Join the Cal Energy Club for HVAC Maintenance. As a CECS Club Member, you’ll get a full calendar year of HVAC service. This fantastic, affordable, and comprehensive HVAC service maintenance plan lets you get the best efficiency from your HVAC system. Regular maintenance will extend the life of your heating & air system and keep it running more efficiently. That means saving money, time, and discomfort. We’ll keep track and contact you when it’s time to schedule services. At the activation of your Cal Energy Club membership, you’ll get the THREE most important benefits needed to keep your home energy efficient and comfortable, all year long. 1) Priority Repair: Cal Energy Club members get priority service without the hassle of a service call or diagnostic fees. 2) Tune Ups: Cal Energy will come to your home twice a year to keep your heating and cooling system running at peak efficiency. 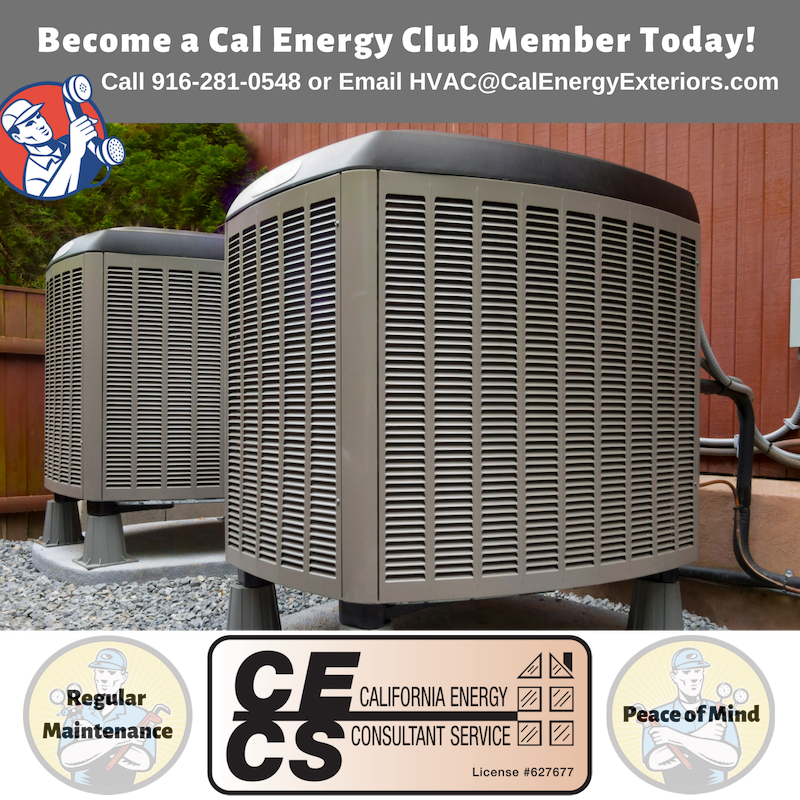 3) Discounts: Cal Energy Club members receive 10% off any repairs & deep savings on full system replacements when it’s time to upgrade. What’s Included In Your Cal Energy Club Membership? Check thermostat settings. Tighten all electrical connections, measure voltage and current on motors. Check all moving parts. Check & inspect the condensate drain. Check system controls to ensure proper and safe operation. Check air filters. Check AC refrigerant level, adjust as needed, additional refrigerant at extra cost. Inspect ducting and blower components to provide proper system airflow for greater comfort levels. Check all gas connections, gas pressure, burner combustion, and heat exchanger.